There's nothing new about stratification in the beer industry. 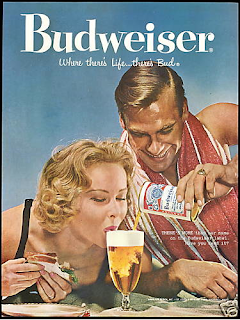 It dates as least as far back as the 1950s, when heavy advertising split macro brews into premium and popularly-priced brands. The beers weren't much different. What was different was how much and how premium brands were advertised. Premium (as well as super premium) macro categories have been decimated by the rise of craft beer. Brands like Michelob, Budweiser and other standards are in virtual free fall. Popular brands aren't doing any better. This has been well-documented in many places. The macros sell a lot of light beer these days and that's about it. In actual fact, we've arrived at the point where craft beer is itself undergoing stratification...or gentrification, if you will. This transformation is nothing like what happened with the macro brands. It is not driven by advertising. The craft beer industry was not built on TV or in magazines. Gentrification is an interesting concept, I think. It typically refers to shifts that happen in urban communities when wealthy residents take up residence and displace poorer ones. In a beer terms, gentrification is the growing presence of increasingly expensive products, exclusive events or access and special services. This trend is happening for several reasons and it has consequences for some, which I'll get to. But first some examples of what I'm talking about. Not that long ago, you could walk into your favorite bottleshop and be pressed to find more than a few $10 bottles of beer. Try that today. You'll have no trouble finding bottles priced at $10 or more. In fact, you'll find plenty of $20 bottles, largely unheard of a few years ago. This reality is supported by Brewers Association numbers, which show that craft beer dollar growth exceeded volume growth by 2 percent in 2011 and 2012. Any bets on 2013? 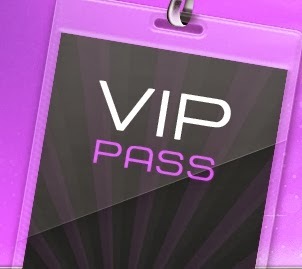 Another form of gentrification is VIP access at brewery events and festivals. It's similar to flying: There's first class and coach. Take a look around. Most of our local festivals offer some form of VIP entry, in which the badge holder gets access to exclusive beers, a chance to mingle with brewers, beer and food pairings or something similar. For a price. Then there are the new beer clubs. There have been beer clubs for many years, but they mainly offered standard issue craft beer. The newer clubs are much more focused on exclusive beers and related items. For a couple hundred bucks, you get yearly access to barrel-aged beers that will never be sold at retail, invitations to special events, brewery schwag and more. Many will argue the trend is merely a sign of a maturing industry. It's quite nice that craft breweries can now sell their best beer at a wine prices. That never would have been possible in the early years, when one of the biggest hurdles for craft brewers was that their beer cost a bit more than the macros. My how things have changed. Today, frenzied fans will pay seemingly any price for access to special beers. Of course, some people are being left behind. The price is too high. Beer is historically a drink of the common man. But the growing demand for specialty beers and special access is pushing the market in that direction, squeezing out cheaper products as well as those less able to deal with escalating prices. This situation has existed in wine for years, but is quite new to beer. You might say what's happening with craft beer reflects our time and place. We live in a society that is increasingly stratified, where those with money lead a different existence from those who aren't as well off. The gentrification of craft beer is just a small part of that. But it is part of it. Where will it lead? Stay tuned. A really interesting concept to think about...one I think about a lot, being an unemployed beer writer. I need to drink the beer to do reviews, etc. (a job I can't complain about! ), but my credit card bill is getting hefty. It seems to be way more standard these days to pay $15-25 for anything decent...I don't know how long I can sustain this myself. It is certainly unsustainable. Most of the folks who write about the industry get pitifully little in return and virtually no recognition. The solution, in my mind, is unclear. Hey. Here's some traffic from Jeff's. And I'll repost/reiterate the comment I left there and then some. I'm torn on this matter. Certainly, I'd RATHER pay $5 for an excellent bottle of beer (or more to your point, $7 for a great six-pack) than $20/750ml or the not-usual $15/4-pk. And as a consumer, I definitely have that choice. No shortage of great beers for $5 per 650 ml. Look at GoodLife. Look at Double Mountain (OK, those are 500 ml). Or the best example IMHO, Firestone-Walker six-packs. Those usually retail for $8 and that's one of the very best pale, IPAs, Pilsners, etc. that you can buy (don't take my word for it, just as the GABF judges). At the same time, I enjoy experiencing a brewmaster's highest achievements, his or her grand cru as it were. And when said beer contains more expensive ingredients, takes longer to age (at the brewery in tanks or barrels thereby not being turned over to get more beer out/cash in), and requires dexterity and/or the perspicacity to hold off or rack, then the brewing company should be able to charge more and if I want to enjoy the end product I need to be willing to pay more. It doesn't need to be the same price tag as a bomber of Widmer Bros. for the sake of egalitarianism. There was a brewing company, a gypsy brewer, down in San Francisco's South Bay that produced a line of beers that retailed for $40-45. It was on shelves for quite a while, yet I didn't know of a single beer fan who'd tried it. They were successfully, although cynically, marketing it to "wine people." Emphasis mine. Finally, a beer person got a hold of a bottle on close out and poured it for a group and we all agreed it was downright disgusting. A Brett bomb with zero finesse. Not work a five-spot. My point? Caveat emptor. But Ale Apothecary, and barrel-aged Firestone, and things like that, are worth every penny. And for in between, there's GoodLife Mountain Rescue at $3.99/bomber.